Rudraksha beads have long been known for their wonderful benefits, astrologically and health wise. Find out in this article about why one should use Rudraksh beads in their day-to-day life. Rudraksha (Rudraksh or Rudraksham) is the combination of two different Sanskrit words – Rudra and aksha. Rudra is the other name for Lord Shiva and aksha means tears from the eye. The work Rudraksha means tears from the eye of Lord Shiva. Lord Shiva is the most powerful God in Hindu mythology and hence his tears are considered to be most powerful and sacred. So, Rudraksha is considered the most sacred and most powerful tool of health. Rudraksha or Rudraksh seed is obtained from the Rudraksha tree, which grows on the Himalayan slopes of North India and Nepal. 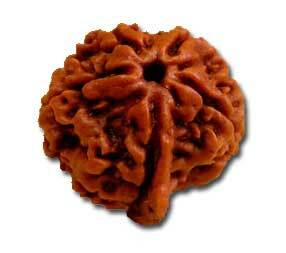 This Rudraksha seed is taken from the Rudraksha fruits and then sold to people or given by temple to devotees. Rudraksha seeds go deep down in water and do not float and this is how the authenticity of those seeds is found out. Generally, one should receive Rudraksha seeds from their parents or from teachers or from a temple. Rudraksha seeds are joined together by means of string and this Rudraksha mala (garland) is used for prayers and meditation. 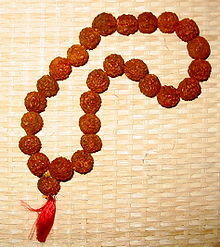 Rudraksha mala should be worn for only pure purposes. When a person engages in sexual activities, he should remove the Rudraksha bead that he has worn and then should wear it back only after taking bath. Since Rudraksha is considered to be most pure, the person wearing it or holding it should be pure enough. He should not indulge in bad activities in its presence. The presence of Rudraksha is said to purify one’s thoughts and holds that person in high position. The Rudraksha seed has lines on its surface, which is called mukhi. There are rudrakshas with one to twenty one lines on it. But rudrakshas with more mukhis are considered to be rare. A Rudraksha with only one line is called one mukhi or Ek Mukhi Rudraksha and is considered to be very close to Lord Shiva himself. Wearing one mukhi Rudraksha brings peace, success and wisdom, good luck and protects people from Sin. Each mukhi rudraksha is related astrologically to planets and zodiac signs. For example, one mukhi rudraksha belongs to the planet Sun and star sign Leo. Wearing rudraksha with different lines can help people gain power and influence of the related planets and signs. Wearing Rudraksha helps in curing people with long term illness. Devotees wearing Rudraksha get benefits from different diseases like Diabetes, Blood Pressure, Headache, allergy, Ulcers, respiratory problems, etc. The power of Rudraksha is tremendous. It is believed that people who wear Rudraksha will be blessed with long life and good health. Also the home in which the Rudraksha is worshipped is blessed with good luck.